Blog | Why Do You Need an Automated Garage Door? Why Do You Need an Automated Garage Door? By simply pressing one button, you will gain entry to your garage and your home. Why is it necessary to get an automated garage door? They get heavier and trickier with age. The doors are heavy and tricky to handle when you lift them with bare hands. Often, you need to run away fast when they close to avoid being hit. With automated doors, there is no need to exert much effort. Just one press of the button and you will be able to lift, open and close them quickly and easily. They offer security. Garage doors are a good deterrence to burglary and theft. Having automated doors will increase the level of security since you have total control from the inside. They bring safety to you and your family. The safety features found on automated garage doors are compared to none. They are not only convenient, but bring safety to everyone in your home. For one, the sensors can recognize obstructions in its pathway, whether it is an object or a human being. With this safety feature, you are preventing future accidents. 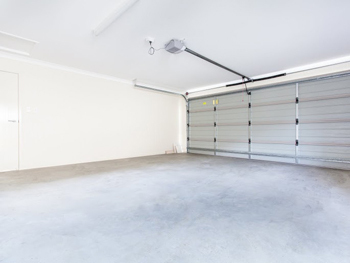 The fact that you simply need to press a small button to lift the garage door and shut it afterwards can be appealing, particularly if you have a much bigger storage space. One huge advantage is that you don't need to lift the heavy doors awkwardly on your own. Secondly, the safety feature wards off any forms of accident that could injure you or someone in the family. So if your existing garage doors are not automated yet, perhaps it is time to consider installing electric openers. You will surely find them handy and convenient.